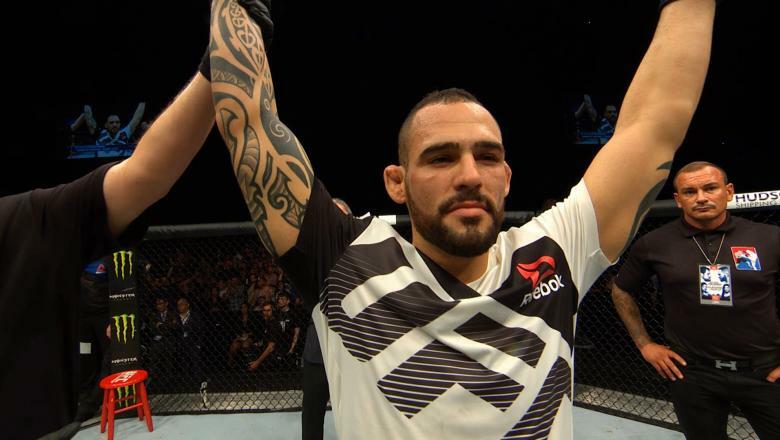 In a very close war, Santiago “Gente Boa” Ponzinibbio walked away with the unanimous decision victory over Mike “Platinum” Perry at UFC on FOX 26. 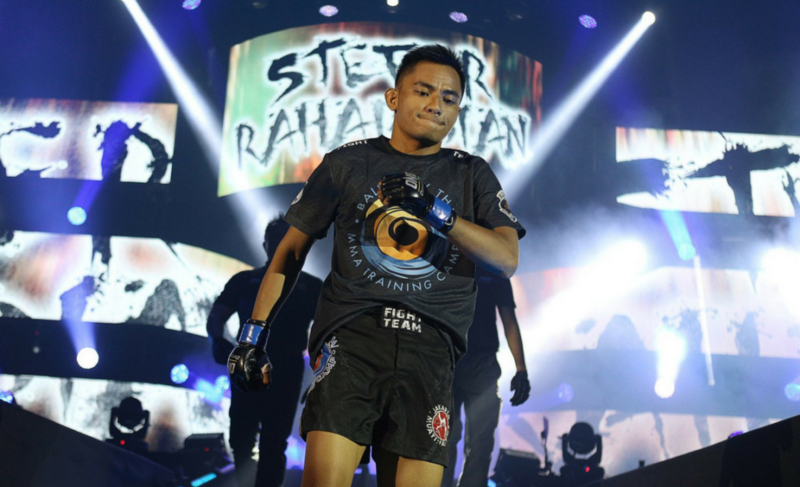 The much-anticipated fight between these two knock out artists in the welterweight division finally arrived. 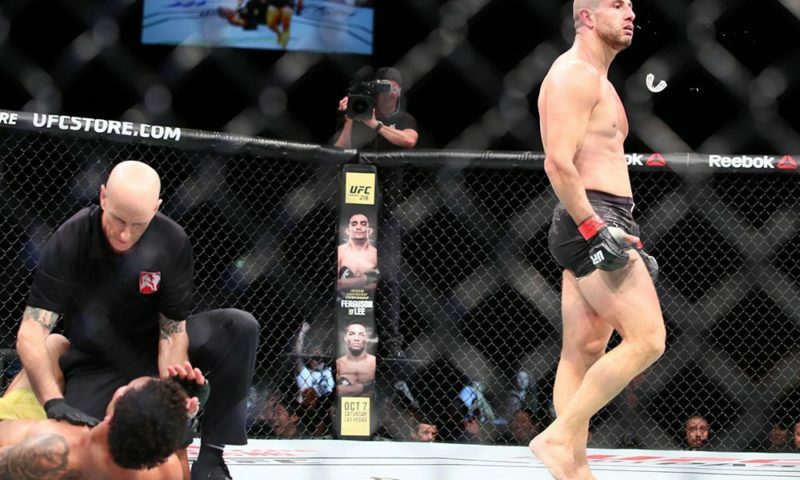 In a fight that many thought would never go the distance, fight fans were treated to an incredible battle that met all expectations and then some. Perry rushed to the center of the octagon and landed the first blow with a sidekick to the abdomen. Ponzinibbio struggled to find his range early in the fight. Perry was the aggressor and constantly walking forward. Perry’s intentions were clear as he kept loading up on his right hand waiting to detonate the dynamite on the Argentine’s chin. Perry did manage to clip Ponzinibbio with the right and he went down for a moment before returning to his feet. Ponzinibbio continued to circle Perry and work his jab to determine a safe range. He started finding his groove late in the first round. But he never matched the aggressiveness of Perry in the first round and instead took a more tactful approach. Both fighters exploded out of their corners at the start of the second round to meet in the center of the cage. 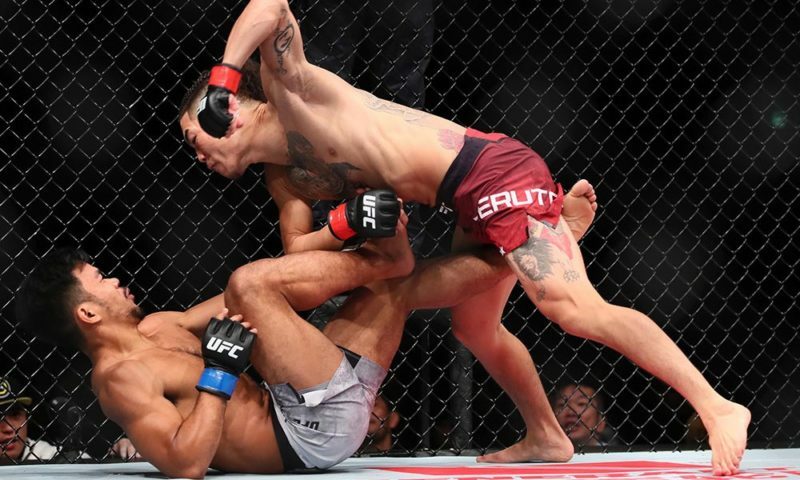 With the chants of “Perry” coming from the fans, Perry pressed forward and landed early with a left cross that hurt Ponzinibbio. 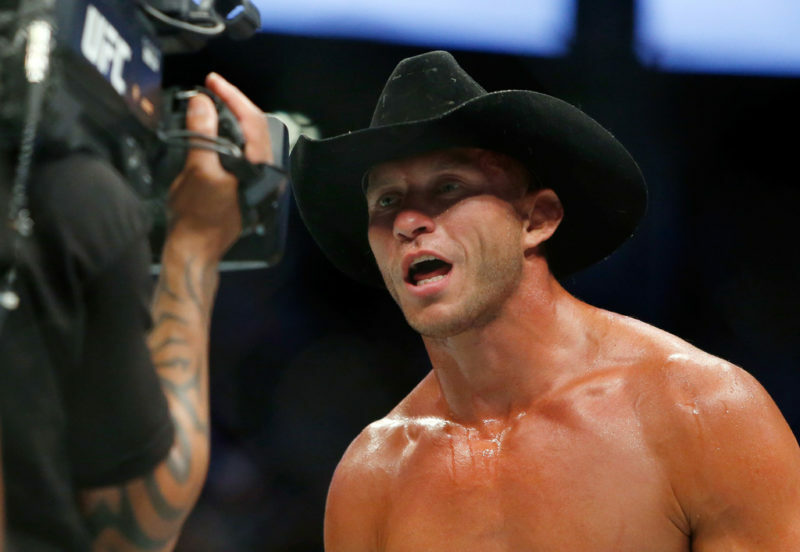 Perry capitalized by taking his hurt opponent down, but the Argentine soon recuperated. 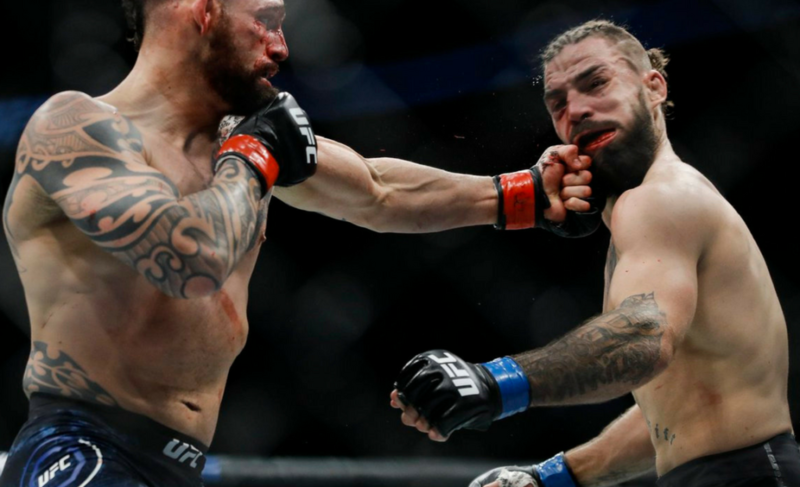 Ponzinibbio started to attack the legs of Perry and landed a sequence of low leg kicks that took a toll on the 26-year-old. Both fighters were bloodied and battered but the exchanges kept on coming. 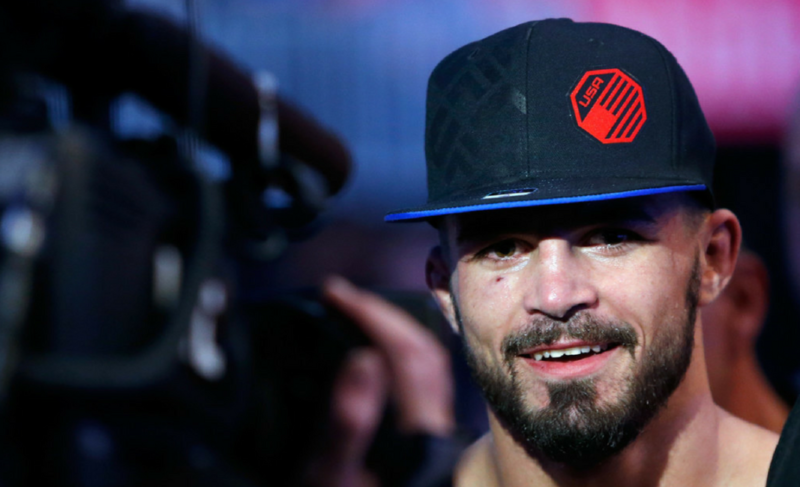 Mike Perry’s chin was continually tested through the fight, especially by Ponzinibbio’s right hand. 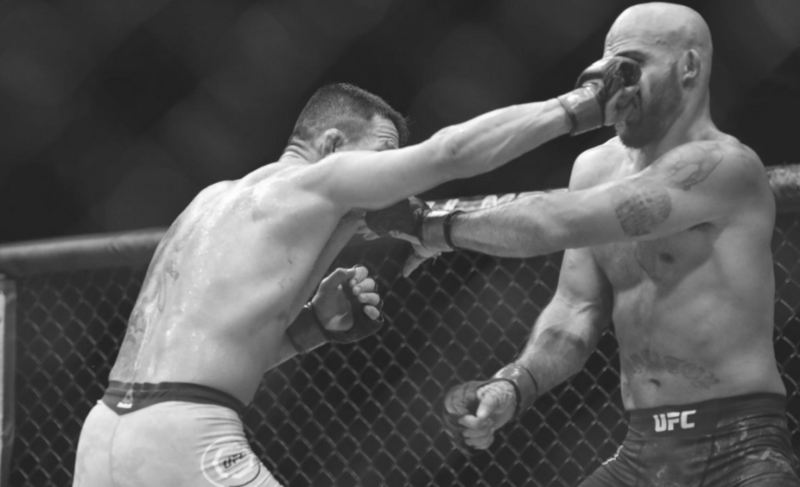 As the second round came to an end it seemed Ponzinibbio found his range and was able to control the pace. The third and final round picked up where we left off; Perry kept moving forward and he was met by the left jab of Ponzinibbio. 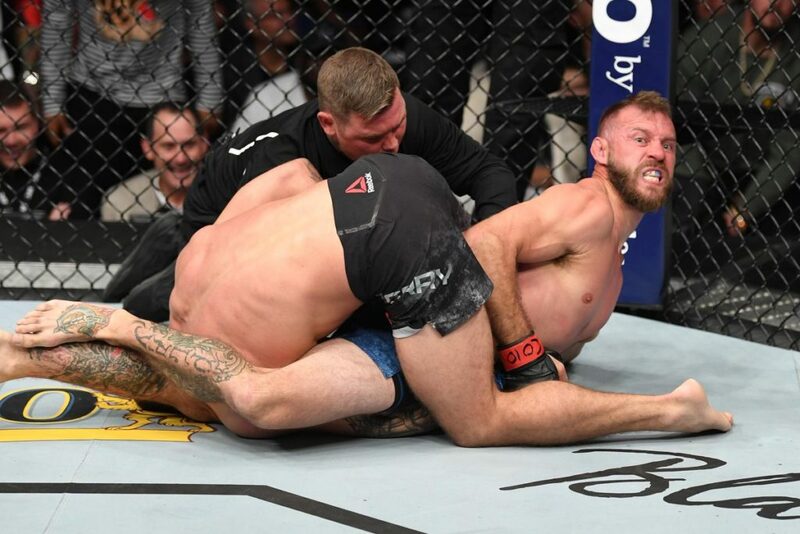 The Argentine fighter was slowly breaking down Perry throughout the fight by using leg kicks to take away Perry’s mobility. Every time it seemed like Perry was getting the upper hand, Ponzinibbio would spin out of trouble and launch a devastating back fist. The back fist repeatedly found a home as Perry was often careless when approaching his opponent. After knocking Perry down with the back fist, Ponzinibbio took Perry to the cage before securing two takedowns. Ponzinibbio helped tip the scorecards in his favor with the grappling superiority in the last round. The last ten seconds Ponzinibbio stretched out his arms in victory taunting Perry. In the end, Perry was unable to respond and with that, the final bell rang. Both fighters left everything they had in the cage. 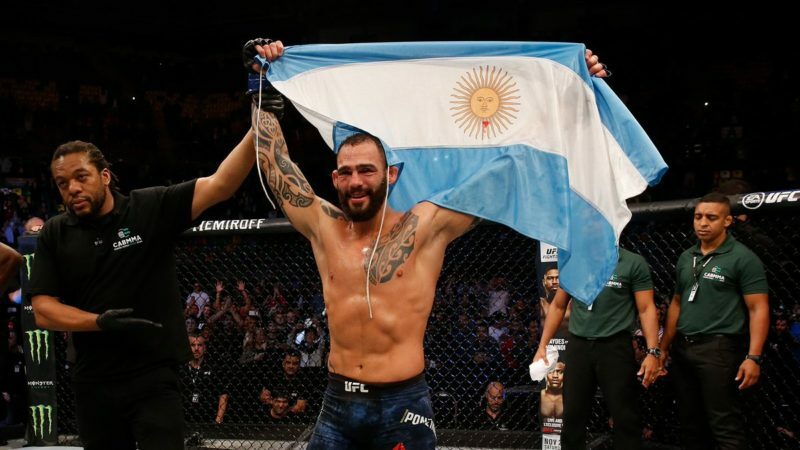 Santiago “Gente Boa” Ponzinibbio won via unanimous decision. His grappling control and striking dominance throughout the fight helped him score the victory. The Argentine displayed control and tactfulness true qualities of a future champion. “Gente Boa” advances to 26-3 and continues on his six-fight win streak. The welterweight division now recognizes that “Genta Boa” is someone to be feared in the division. Mike “Platinum” Perry put on a spectacular performance as well. Perry displayed true toughness and constantly marched forward even against a dangerous opponent like Ponzinibbio. 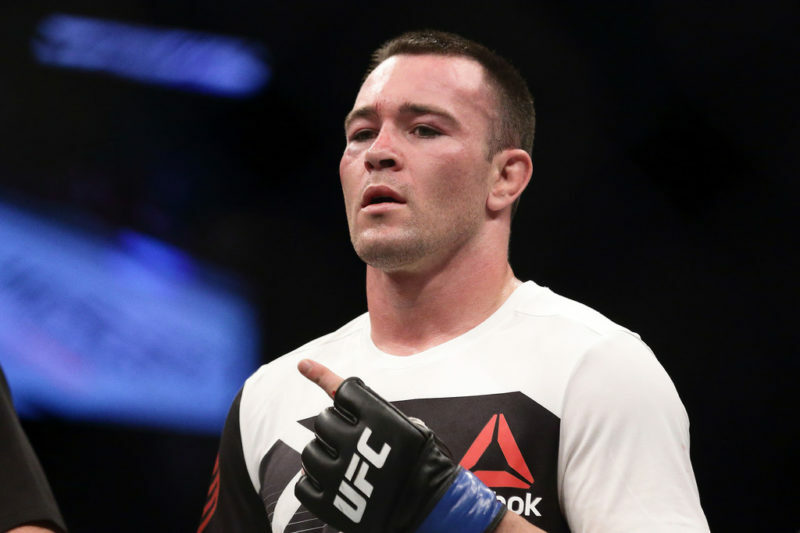 Perry is a young fighter with a promising future in the welterweight division. 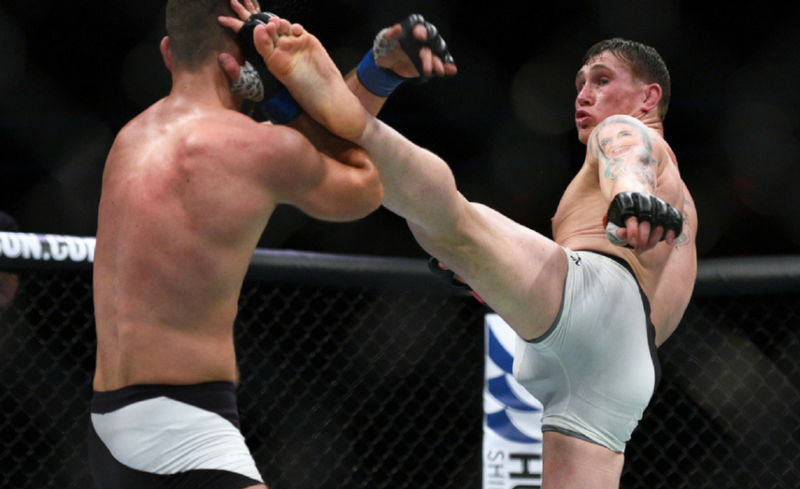 This was only Perry’s sixth fight in the UFC and fans will surely be waiting to see more from this explosive fighter.